Last week, I shared a recipe for lemon basil syrup. Here is the companion recipe, in which I show you what I did with the zest from those same lemons (because who wants to throw out two pounds of perfectly good, fragrant zest!?). These air dried citrus and herb salts are so easy to make (truly, they are the work of less than ten minutes) and give you so much in return. I love using them to season whole chickens before roasting and really enjoy them sprinkled on popcorn. 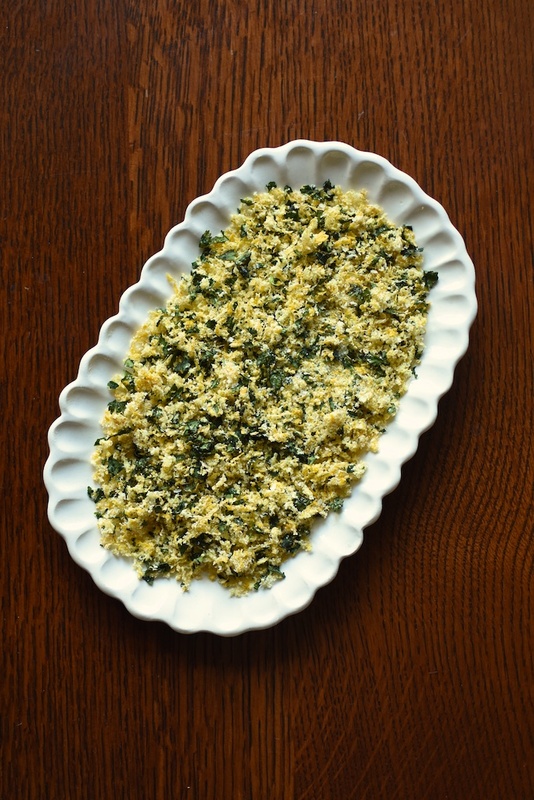 They’re also great when added to the bread crumbs that you are going to use to crust chicken tenders or pork cutlets. I’ve written about these before, but let’s recap the technique. You remove the zest from the lemons with a rasp-style grater (I love my Microplane for this job). Once you’ve finished zesting the citrus, you measure how much you have (I typically do this by volume, rather than weight). In the case of this batch, I had a half cup of loosely packed lemon zest. Once you know how much zest you have, you measure out equal parts chopped herbs and salt. For this batch I used kosher salt, but I’ve also used chunky sea salt or Maldon sea salt. Kosher salt is a good choice though, because it is affordable and the right size to hold up well to the other ingredients. Once all your components are measured out, you toss them to combine. I like to do this with my hands, because it allows me to mix well without crushing the salt or bruising the herbs. Then, I line a baking sheet with some parchment paper and spread the salt out into an even layer. Once that is done, I tuck the pan into a corner of my dining room where it won’t be disturbed for the better part of a week and I leave it alone. If you don’t have the time or space to let it sit for a week, you can also dry it in your oven set on its lowest setting. 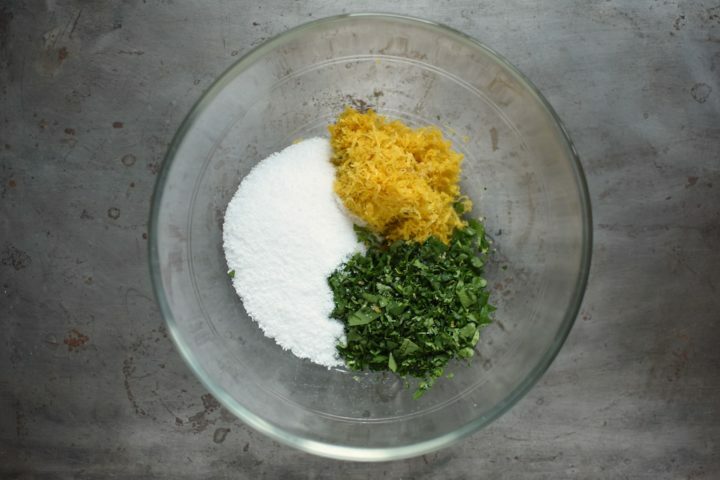 Once the lemon zest and cilantro are completely dried, you can move your herb salt into a lidded jar. For gift giving, I like to pack it up into these 4 ounce Ball spice jars. If I plan on keeping the whole batch for my own use, I use whatever jar is easy to grab. When you know the technique, you can make these salts with a wide assortment of herbs and varieties of citrus. 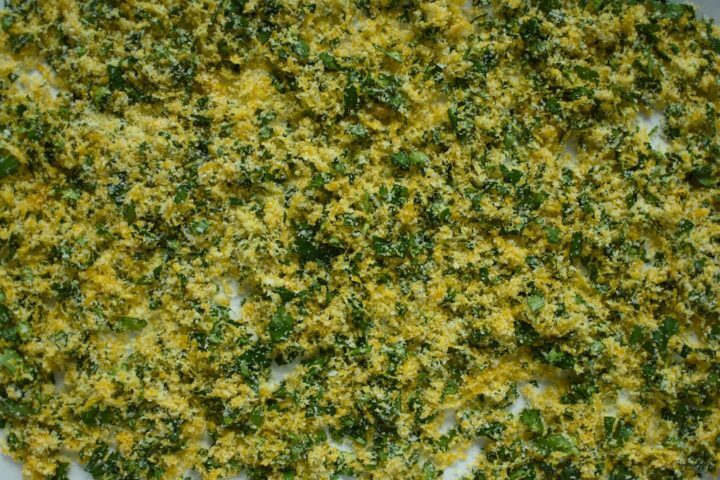 You could also add coarsely ground black pepper for an all-purpose seasoning salt! Oh, and if you were admiring the plate in the top image, know that it was made by my friend Melissa Bridgman in her Memphis, Tennessee studio. You can find her work at Bridgman Pottery. 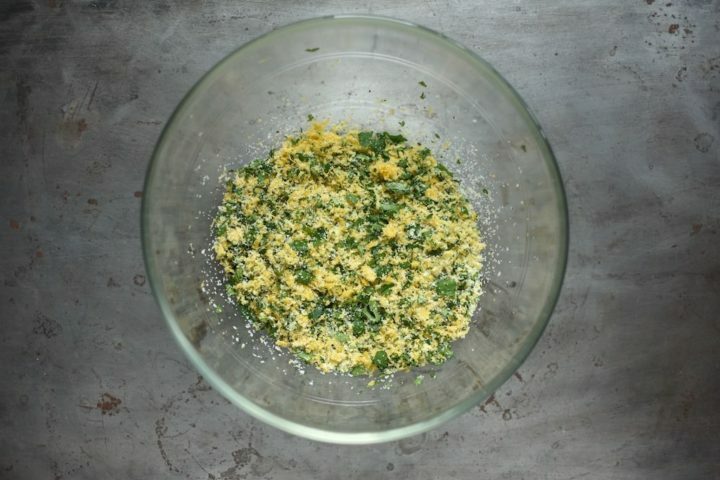 In a large bowl, combine the zest, cilantro, and salt. Line a rimmed baking sheet with parchment paper and spread the salt combination out in an even layer. Place the baking sheet in a place where it won't be bumped and let it air dry for 4 to 7 days, until completely dry. Transfer the salt to a jar. This salt keeps its flavor for about six months. After that point, the flavors begin to fade. Thank you for such an easy technique – sometimes I have to really hustle to use up a bunch of herbs. I do sometimes keep the zest from my citrus in a little jar in the freezer, but next time, I want to make a batch of salt!